Tattoos may no longer be the sole province of people looking to express themselves. According to scientists at Draper Laboratory, doctors may soon be prescribing semi-permanent medical tattoos as a noninvasive way for diabetics to keep tabs on their glucose levels. The prescriptive ink, composed of nanoparticles that are injected into the skin, responds to glucose in the bloodstream by fluorescing like DayGlo under infrared light. A person with diabetes can then determine if an insulin shot is necessary—no painful finger-pricking necessary. 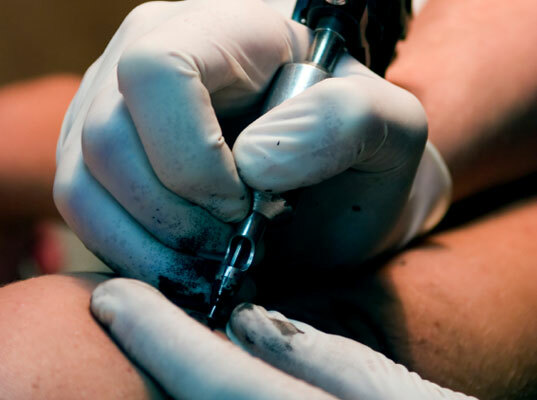 Unlike a session at your local tattoo parlor, getting medically tatted involves using a long, hollow needle to stain the shallow layers of your skin with yellow-orange suspension of nanosensors that sloughs off with time. Each itty-bitty sensor, which measures roughly 100 nanometers across, is made up of various chemical-sensing agents within a plasticized, fluorescent polymer bead. As the concentration of glucose increases, so does the “tatoo’s” level of fluorescence. 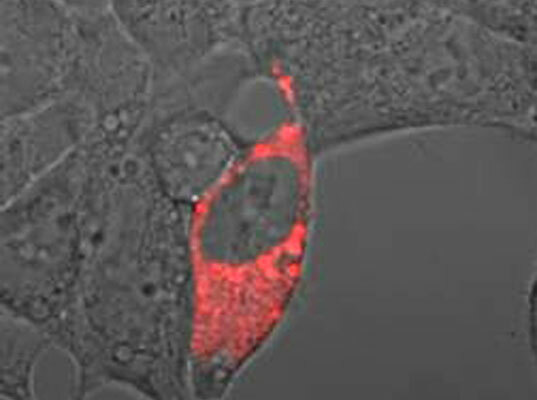 Once inside the skin, the sensor molecule binds to the target chemical (in this case, glucose) and lights up. As the concentration of glucose increases, so does the level of fluorescence, which can be picked up with a handheld reader. The scope of detection isn’t limited to glucose, either. Eventually, the technology could be used to track levels of potassium, sodium, or chloride, which could signal dehydration in athletes and soldiers. Nanosensors could track levels of potassium, sodium, or chloride to signal dehydration in athletes. Testing has been shown to be successful in mice, and Heather Clark and her colleagues envision an EpiPen-like device that can provide a weekly injection of nanosensors. You may not even need a special reader to clock fluorescence levels. If smartphone developers start cracking now, there might even be an app for that. Tattoos may no longer be the sole province of people looking to express themselves. According to scientists at Draper Laboratory, doctors may soon be prescribing semi-permanent medical tattoos as a noninvasive way for diabetics to keep tabs on their glucose levels. The prescriptive ink, composed of nanoparticles that are injected into the skin, responds to glucose in the bloodstream by fluorescing like DayGlo under infrared light. A person with diabetes can then determine if an insulin shot is necessary�no painful finger-pricking necessary.